Live2Lead is a half-day, leader development experience designed to equip attendees with new perspectives, practical tools, and key takeaways. Sponsored by ActionCOACH Heartland and hosted by Mount Mercy University, you and your team will learn from world-class leadership experts and they will be prepared to implement a new action plan and start leading with renewed passion and commitment. L2L is designed to lift your vision as it teaches you to lead well. 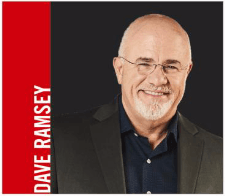 John Maxwell, Dave Ramsey, Cheryl Bachelder and Warrick Dunn will inspire you and share their expertise to help you succeed as a leader. Enjoy the company of other local leaders at our Mount Mercy University CRST Graduate Center conference site as you learn together and inspire one another to add value in your community. Live2Lead is also available for private showings. We offer two formats, a “Corporate Retreat” half-day session featuring multiple speakers or a “Speaker Series” as three events, each running about 90 minutes. Use L2L to enhance your in-house professional development and employee engagement programs. For more details CLICK HERE. 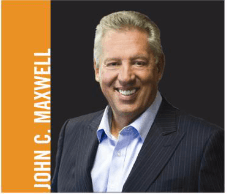 John C. Maxwell, the #1 New York Times bestselling author, coach, and speaker who has sold more than 26 million books was identified as the #1 leader in business by the American Management Association® and the world’s most influential leadership expert by Business Insider and Inc. magazines in 2014. In that year, John also received the Mother Teresa Prize for Global Peace and Leadership from the Luminary Leadership Network. His organizations— the John Maxwell Company, The John Maxwell Team, and EQUIP—have trained more than 6 million leaders in every nation. 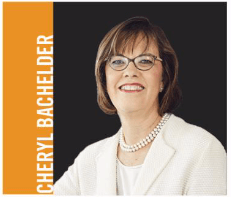 Cheryl Bachelder is passionate about the restaurant industry. Cheryl is an executive who most recently served as the CEO Popeyes® Louisiana Kitchen, Inc. Cheryl inspired a servant leader culture that is expressed in Popeyes six guiding principles. These principles and the company purpose— food that ignites our desire to serve—informed how everyone worked together. In 2016, Cheryl received the Outstanding Woman in Business Award by Independent Women’s Forum and On Board presented her with the Lettie Pate Whitehead Evans Award for exemplary board service. She has been profiled in The Wall Street Journal and the New York Times and was named by CNBC’s Jim Cramer as one of his “21 Bankable CEOs” for 2014. Warrick Dunn played 12 seasons with the Tampa Bay Buccaneers and the Atlanta Falcons, amassing five 1,000-yard rushing seasons and selected to the Pro Bowl three times. In 2009 he was approved by the NFL owners to become a limited partner of the Atlanta Falcons. Through his charity work, Dunn honors his mother, a single-mother of six who was killed during his senior year of high school, leaving him to watch over his five siblings. His program has assisted over 152 single parents and 409 dependents nationwide with achieving first-time home ownership. 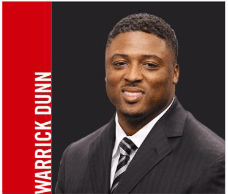 In 2002, Dunn founded Warrick Dunn Charities to improve lives through innovative programming inspired by his journey. Renewed Energy… Live2Lead is designed to deliver the very best leadership content that inspires and motivates all who attend. New Relationships… Grow your own leadership as you connect with other influencers in your local community. Expand your network with relationships that produce tangible results. New Ideas… Live2Lead is a world-class leadership experience packed into a half-day format, full of rich content, key takeaways, and easy-to-implement action plans. Leadership can take a lot out of you. You need encouragement. You need the inspiration to continue to pour into the lives of those you lead. That’s why the new simulcast L2L: LIVE2LEAD is here, to breathe new life into your leadership, empowering you as you learn and lead others to follow.